Made from angle iron and stainless steel mesh. It is approximately 40" high and 16" wide. 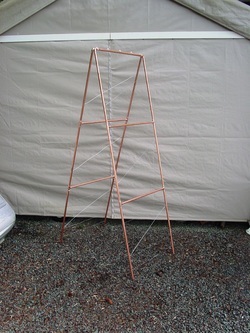 Made from Copper Tube, Copper Fitting, & Galvanized Wire. It is approximately 6' high and 2' wide.